Genealogy websites help people learn about their ancestors. By providing access to a variety of records, databases and tools, they enable users to identify long-forgotten relatives and to piece together their family trees. The web is home to a wide range of such ancestry websites, and while they all differ in the tools and records they make available, they all have their respective strengths and uses. Here are ten of the best you can use for free, including an explanation of just what each of them offer. FamilySearch is the most comprehensive free genealogy site on the web. When it comes to ease of use and the depth of its tools, FamilySearch is perhaps the best free genealogy website on the web. First launched in 1999 and operated by the The Church of Jesus Christ of Latter-day Saints, the ancestry website lets users search through over 2,000 collections and records in order to find their relatives. Its search pages permit a number of finely grained searches through birth, deaths, marriage and residency records, and it also has a family tree tool that lets you quickly add ancestors you find to your own genealogical tree. Overall, it's a very helpful resource, with its only negatives being the lack of a user forum and also the absence of specialised features for Native Americans and other ethnic minorities. The USGenWeb Project collates ancestry records from all 50 states. The USGenWeb Project was launched in 1996, initially as genealogy database for Kentucky. 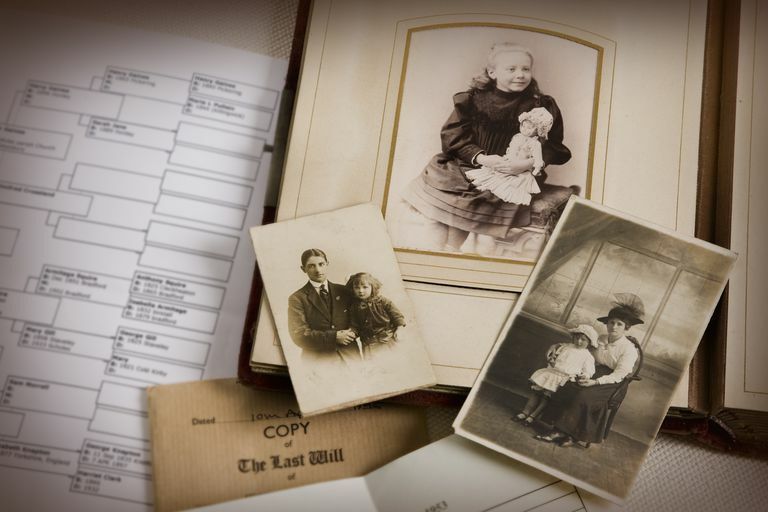 Since then, it's branched out to incorporate genealogy records for all 50 states, which are treated to a comprehensive range of census records, military records, obituaries, newspapers, and maps. This makes it one of the most detailed free ancestry websites on the web, although it has to be noted that its site map is quite sprawling and takes some getting used to before you can navigate it with ease. That said, it features a number of detailed guides on how to conduct your own ancestry search, including a helpful beginner's guide. Access Genealogy's biggest draws are its sections on African American and Native American genealogy. Providing a range of general and more specialised ancestry records, Access Genealogy is one of the biggest free genealogy sites on the web. It includes census records for every state, military records stretching back to the 17th Century, cemetery records, and a number of miscellaneous databases for researchers to scour. Added to this, it also includes a healthy supply of Native American resources, as well as a variety of African American records. These cover everything from American Indian school records to slave trade records, helping you to not only identify your ancestors, but also to add considerable detail to your knowledge of their lives. The Allen County Public Library contains a rich variety of state-by-state ancestry records. Even though Allen County Public Library is located in Fort Wayne, Indiana, its Genealogy Center provides free ancestry resources for the US as a whole. Its vast collection includes databases on African American genealogy, Native American genealogy, and on military history. Users can also conduct their free ancestry search using a wide repository of records covering over 30 states, such as school yearbooks, military lists, and cemetery records. This means that it doesn't quite span the entire US, which may be frustrating for some. However, on the plus side, the Genealogy Center's website includes a generous number of guides on how to research your genealogy, as well as pages and a monthly e-zine on various aspects of genealogy. JewishGen's databases cover everything from Jewish communities to Holocaust records. For those looking to uncover information about their Jewish ancestry, JewishGen is one of the best ancestry websites online. Aside from offering completely free genealogy searches by name or town, it provides access to a burial registry of over three million names, a Holocaust database containing over 2.75 million names, and a number of book and manuscript catalogs. It also offers access to Jewish databases covering numerous countries outside the US, such as the UK, Israel, Germany, Hungary, Austria, Poland, Lithuania, Belarus, and Latvia. Such databases include vital records (i.e. births, deaths and marriages), census records, and business records, offering plenty of info for those willing to take the time to look. The site can be somewhat daunting at first, given the number and size of its databases, but it has a variety of guides and discussion groups to help newcomers find their feet. Olive Tree Genealogy's biggest source of records come from the passenger lists of migrant boats. A good ancestry website for those who want to trace their genealogy all the way back to their forebears' arrival in America is Olive Tree Genealogy. Online since 1996, it offers links to ship passenger records for German Palatine, Mennonite and Huguenot immigrants. It also includes naturalization records, voter registration records, and recorded oaths of allegiance, providing a very extensive repository of info on early migrants to America. On top of this, there are more general records, including military databases, orphan lists, asylum registers, and also a Canadian immigration section. While its layout isn't the cleanest or prettiest of all the free ancestry websites on the web, it does have a genealogy guide section, so that beginners can learn how to go about piecing together their family history. TONI combs millions of cemetery and family records to help people investigating their Ontarian roots. Operated by the Ontario Genealogical Society, The Ontario Name Index (TONI) is probably the best free ancestry search tool for people wanting to investigate their Canadian ancestors. The index itself contains over five million names to search through, drawn from such sources as tombstone photos and family histories. On top of this, it also includes a cemetery index, as well as a church photo collection, a Huguenot collection, and also an insurance papers database. Its records aren't quite exhaustive or as extensive as other free ancestry websites, and it also lacks the kinds of genealogy guides you get with other sites. Still, its index is growing all the time, and is a very helpful reference for those looking into their Ontarian or Canadian past. The National Archives and Records Administration provides a gateway to almost every ancestry resource you could need. The website often requires physical access to the archives themselves to make the most of it. Despite hosting only a small selection of online records itself, the National Archives and Records Administration is a powerful (and free) resource for anyone interested in genealogy. It contains a disappointingly small variety of miscellaneous records you can view directly online, such as passenger lists, casualty lists, and even a Chinese exclusion list. But more helpfully, it also contains links to virtually every relevant genealogical website or tool you might need, whether you're researching American, European, or Asian genealogy. And as well as offering very comprehensive genealogy guides, it even lets visitors search the National Archives catalog, so that they can request viewing in person the records they think might be useful.